The joint airport of Anadyr is the largest air transport hub of the Chukotka Autonomous Region and is used both for civilian traffic and for military purposes. Other name of the airport — Coal. He takes planes of various companies, from here both domestic and foreign flights are carried out. The Anadyr-based airlines are Chukotavia, UTair, Yakutia. The length of WFP Coal allows you to receive and send ships of all types of destination — civil, military aircraft and helicopters. The air gate of Chukotka, as the Anadyr airport is called, is located about fifteen kilometers east of the Chukotka capital of the same name, on the opposite side of the bay. Near the airport, two kilometers away, is the village of Coal Mines. The uniqueness of this object is that it was built on the permafrost. 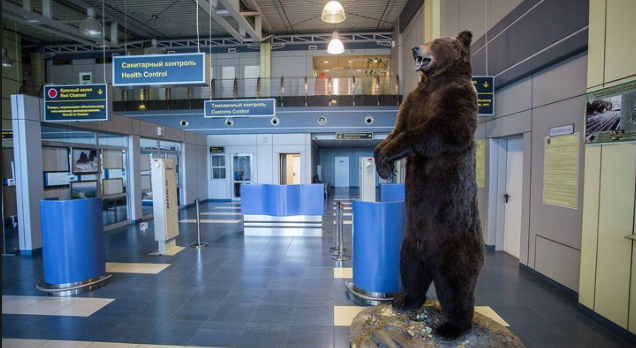 Anadyr is one of the most modern airports in Russia. Initially, the airfield was built as a strategic military facility, designed to refuel and repair bomber. There are several exhibitions at the airport, having visited which, passengers can not only pass the time while waiting for departure, but also get acquainted with the history of the region. On the base of the complex there are two large buildings — one of them is three-storey — this is a new, functioning terminal, and the second is an old terminal, which is now used as a hotel. Domestic passengers can go to the reception desk two hours before departure. The process of check-in and baggage registration for those flying international flights begins half an hour earlier. It is necessary to register in both the first and second cases no later than forty minutes before departure. To register at the air terminal, you must have an air ticket and a passport or an identity document. If the ticket is purchased via the Internet, then you will need only a passport to go through the registration procedure and boarding. It should be borne in mind that the city is border, and therefore the verification of documents is carried out with great care. 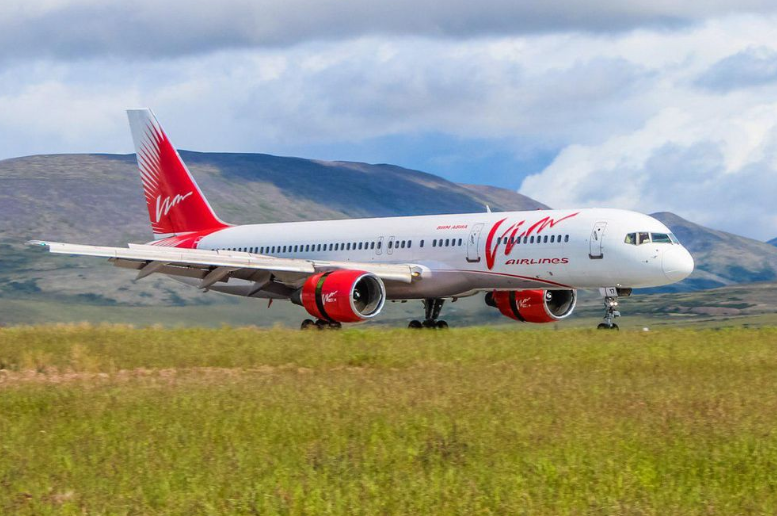 You can buy air tickets for the flight at the airport ticket offices, which are located on the third floor of the terminal, or at the address: Anadyr, ul. Polar, 22. You can book and buy a ticket through online services, which abound on the Internet today. You can return or exchange tickets at any of the airport terminal box offices. Passengers are offered a wide range of additional services, many of which are provided for an additional fee, therefore their cost should be immediately specified. 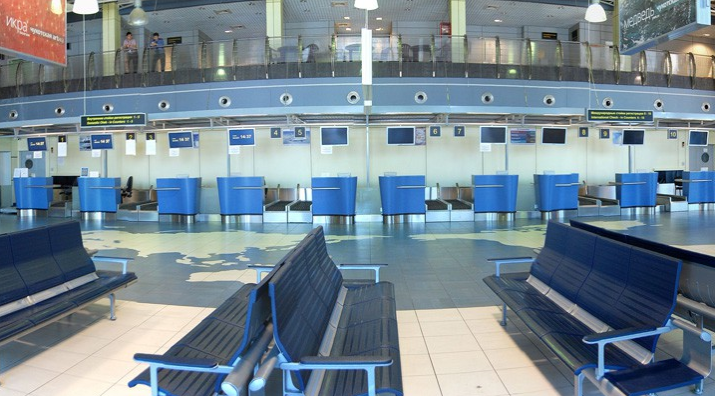 On the lowest floor of the terminal there are two waiting rooms — one of them is ordinary — on the left side of the terminal, the second one — extra comfort — on the right. Staying in the hall with an increased level of comfort is paid; both passengers and mourners can visit it. Here you can not only relax comfortably, but also watch TV, charge a mobile phone, use a separate check-in counter and the right priority boarding. Visitors to the hall can always get information on all their questions. First-aid post. You can ask for medical help from the specialists of the first-aid post located on the second floor of the terminal. The first-aid post has everything you need to provide first aid to passengers. The nearest hospital is in Anadyr. Free wireless internet is available in the terminal building. You can connect to it by making a login and password request via SMS. There are several shops and shops in the hall, where passengers can buy souvenirs, newspapers and magazines, as well as consumer goods. Passengers with children up to seven years old can visit the mother and child room located in the terminal building for free. She works all the time, and to be able to stay in it you must have a ticket or boarding pass and a certificate obtained in the outpost. After the luggage is checked by the airport security service, it can be handed over to the luggage room located in the left side of the building. On the ground floor there are cafeterias, restaurants and a communications lounge, although they work for a short time, which is tied to the time of arrivals and departures. For a fee, you can use the baggage packing service. At the same time, visitors to the high-comfort hall are served separately. There are no ATMs and currency exchange offices in the territory of the Coal Bank. The nearest of them are located in the village and in Anadyr. Given the peculiarity of the coal location, getting from it to the city and in the opposite direction is not so easy, however, there are several possibilities that vary depending on the time of year. In summer, there is water transport, which can be reached by bus. The boat runs from / to the pier number 10 in the village of Ugolny Kopi to / from the berth of the city of Anadyr with a frequency of two hours. So, the trip will cost 1,250 rubles per bus and boat. You can sail by boat, which also departs every two hours, and a ticket for it costs only 100 rubles, such a boat trip takes about forty minutes. In winter, when the estuary is covered with ice, there is an ice ferry. You can also get to the territory of the air port by using a hovercraft, which will cost two thousand rubles, or by helicopter. The most difficult situation in the off-season, when there is only one option for communication between the city and the airport — a helicopter. Mi-8 flies several times a day, the price of the flight ranges from three to four thousand rubles. Getting from the airport to the city is impossible during a storm. During this period, navigation stops and there is nothing left but to wait at the airport until calm comes. One of the most convenient ways to get to the airport and back is to take a taxi. In Anadyr there are several services and there are private traders. The cost of the trip will be from 200 rubles. Directly at the airport, there is a Pyaterochka taxi that transports passengers to the Coal Mines and Anadyr. It’s impossible to get to the city by car, but you can get to the Coal Mines village by car. There are no special car rental offices in Anadyr, this is explained by too little demand for the service in the area. If it is necessary to have a rented car, you can arrange a rental with local taxi services, which sometimes rent their cars. Coal is the only airport located in the capital of the Chukotka Autonomous Region. There is a hotel at the airport, in the building of the old terminal, where passengers can stay overnight, there are also options to stay in the city, and despite the small size of the city, there are three hotels, a hostel, and you can also rent an apartment. Hotel complexes and hotels of the city are located in the very center of Anadyr, literally a few meters from each other. In the heart of the city is the «Hotel Chukotka», located at ul. Rultytegina. From the airport to the hotel a distance of ten kilometers. On the territory of the hotel complex there is a restaurant, billiards, sauna. Guests can take advantage of laundry and dry cleaning services. The hotel provides a shuttle service. To book a room please follow the link. Hotel «Anadyr» is located at ul. Otke, 14, which is ten kilometers from Coal Airport. To services of residents: restaurant, sports complex, dry cleaning, transfer. To view information about the hotel and book a room, just follow the link. Book a room in the hotel «Chukotka 2», located at ul. Energetikov, d. 13, can be here. The hotel is located at a distance of approximately ten kilometers from the airport. Guests can benefit from free parking and other hotel services. Unfortunately, there is no transfer service. For the duration of your stay in Anadyr, you can rent an apartment or an apartment in an apartment hotel. More budget option of living in the polar capital — hostel. In the city he is alone, and is located in his heart at ul. Rultytegina, 45, 10 kilometers from the terminal. Book a place in the hostel «Hostel» please click here. Directly in front of the entrance to the building of the air station is free parking. Its area is small, and can accommodate only about a hundred cars and about ten buses. Given the small capacity of Anadyr — three hundred forty passengers per hour, parking is enough. As for parking outside the airport, even the nearest ones are located far away, at a distance of about eight kilometers, in the village of Coal Mines.